The BTX Benchtop XRD System is a fast, low cost, small footprint, benchtop XRD for full phase ID of major, minor and trace components and quick XRF scan of elements Ca - U. 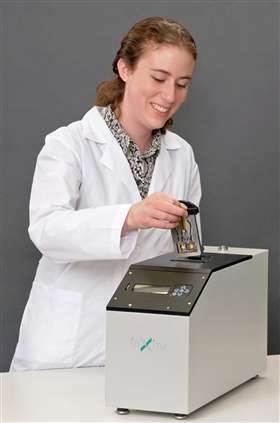 Its unique, minimal sample prep technique and sample chamber allow for fast, benchtop analysis rivaling the performance of large costly lab units. 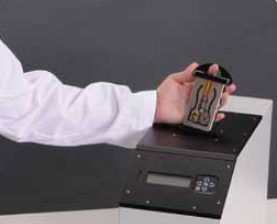 The BTX Benchtop X-ray Diffraction/X-ray Fluorescence is, simply put, the first combined XRD/XRF instrument designed with ease of use in mind. From educational settings, to the rigors of a QC application, BTX is well suited. Based on the filed proven reliable design of Terra, our field portable XRD/XRF instrument, BTX features the same level of performance, but without the aspects of a portable instrument. The technology used in the portable rock and mineral analyzer received a prestigious R&D 100 award and was chosen to fly on the Mars Science Laboratory Rover scheduled for launch in 2011. Check out the NASA site for more. 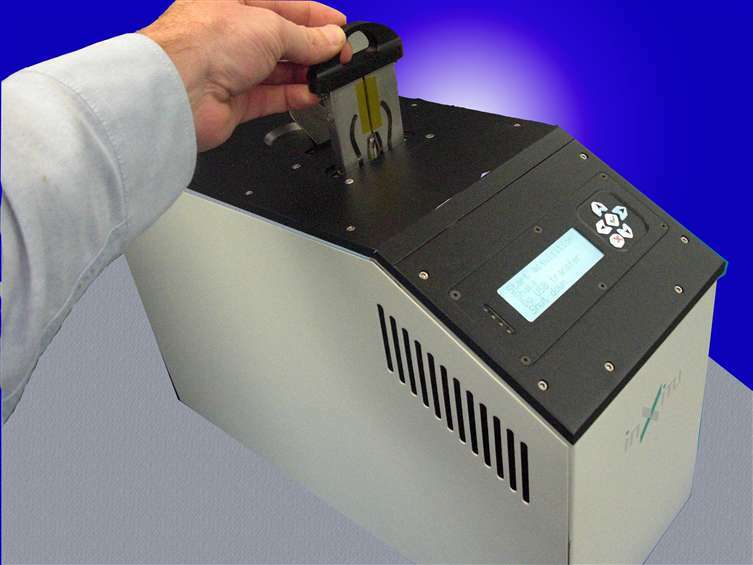 The BTX is a compact combination XRF/XRD system designed for powder analysis. Now XRD work can really be done in an easy to use, small footprint, low cost configuration. With the BTX patented sample handling system, not only is sample preparation time minimized, but accuracy in peak identification previously only available using large and expensive laboratory based systems can now be achieved. Typically, XRD experiments require a finely ground sample which is then pressed into a pellet. This requirement is formed by the need to ensure sufficient random orientation of the crystals in the sample. BTX introduces a patented new way of addressing this issue. With only 15 mg of sample, BTX convects the sample with its integrated sample vibration chamber. By doing so, BTX is able to present all different orientations of the crystal structure to the instrument optics. This results in a superb XRD pattern, virtually free of problematic preferred orientation effects found using more classic preparation methods. 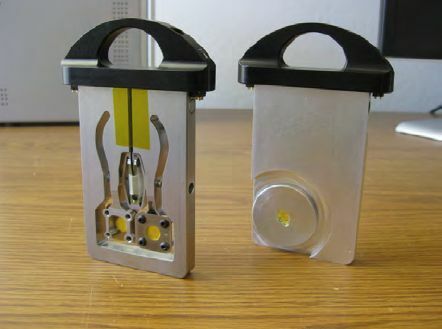 The BTX is a small, low cost benchtop combined XRD-XRF system. It is easy to use and has an overall low cost-of-ownership offering fast analysis of a variety of sample types - pharmaceuticals, agriculturals, hazardous materials, minerals & ores, petrochemicals and more. The BTX's high quality data and speed of analysis delivers quantitative real-time compositional chemistry in a small benchtop configuration. Limestone & Cement - Easily perform quantitative analysis of common minerals associated with limestone - alpha-quartz, asbestos minerals, calcite, dolomite and more. In cases where the quarry contains various levels of dolomite, the BTX quickly determines this mineral in the range of 0.50 to 9.0% with an error of only 0.02%.